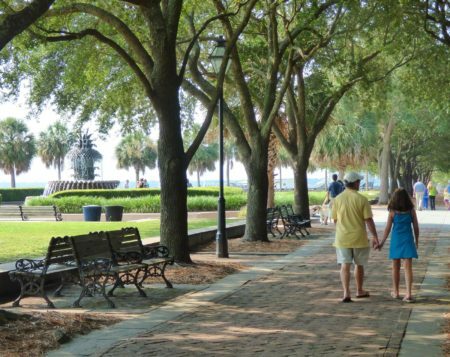 Charleston, SC is a city so rich with history, tastes, sights and charm that it is impossible to experience it all in one perfect day. It is, however, very easy to have many “perfect days” experiencing some of what makes the stunning city a top rated destination. In fact, Charleston has been voted the number one city in America by the readers of Conde Nast Traveler magazine for three years running. 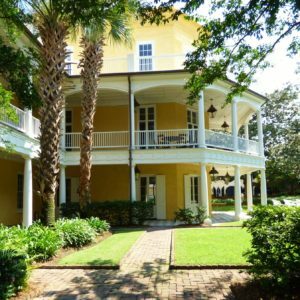 Here is a beautiful must see video link which highlights these top honors and shows off some great Charleston favorites. Look for the Red Flag! Our day was a hot summer one so we choose to center it around the Water Taxi route. 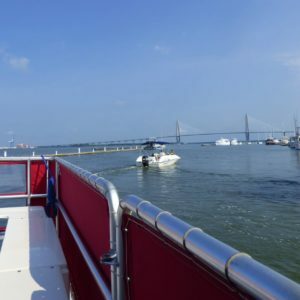 Whatever the season you’re visiting Charleston find a way to experience the city from the water!. For centuries Charlestonians have known this secret to summer survival; stay as close to the harbor breezes as possible. (On another day walk the battery and check out the lucky few who scored front row real estate hundreds of years ago). On our day, we combined some more typically tourist activities that locals would actually enjoy along with some hidden gems of the city. 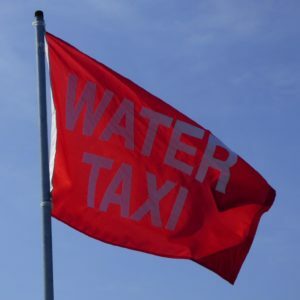 The Water Taxi operates a continuous loop from all stops mentioned so feel free to begin and end where it best suits you. For an up to date schedule-www. 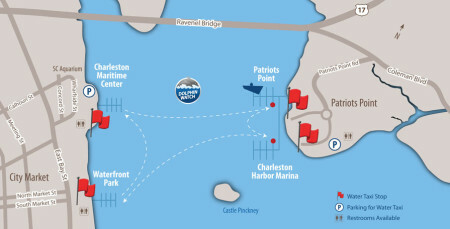 charlestonwatertaxi.com/schedule/. We begin with free parking at the Harbor Front of Mount Pleasant. 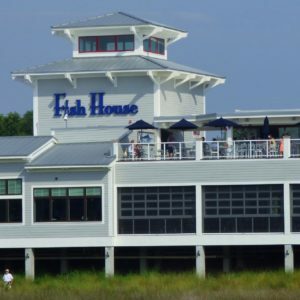 If driving, simply follow the signs for Charleston Harbor Resort and Fish House and park on Fish House side. 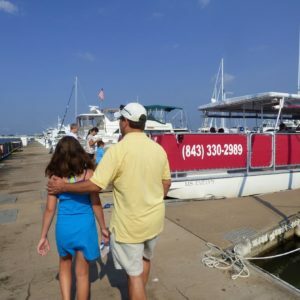 Walk to the end of the dock directly in front of the resort where you will see the red flag for Water Taxi. The boats arrive at the top of the hour from 9 AM on. We caught the first boat to beat the heat of the day. Not paying for or searching for downtown parking was a definite bonus. Once aboard the boat, the friendly crew was pointing out dolphins and answering questions within minutes. View of as we set begin our day from aboard the water taxi. 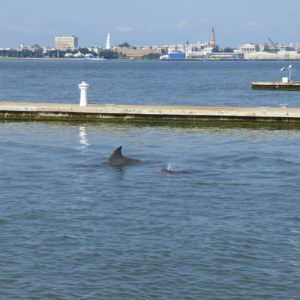 Everyone was captivated by the views and dolphins as we made our way across the harbor. 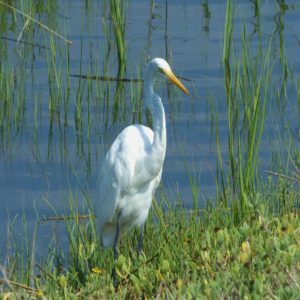 Egrets and birds greet visitors from the marsh. 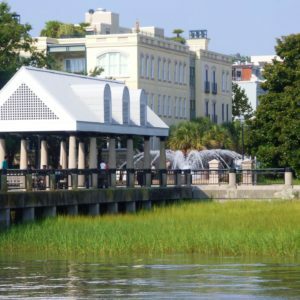 Arriving downtown Charleston by water is always charming. Take your time making your way down the dock towards Waterfront Park. There are swings in the shade and many good vantage points for a photo. Strolling along the harbor under the trees never gets old for me. I do it on almost every visit downtown. 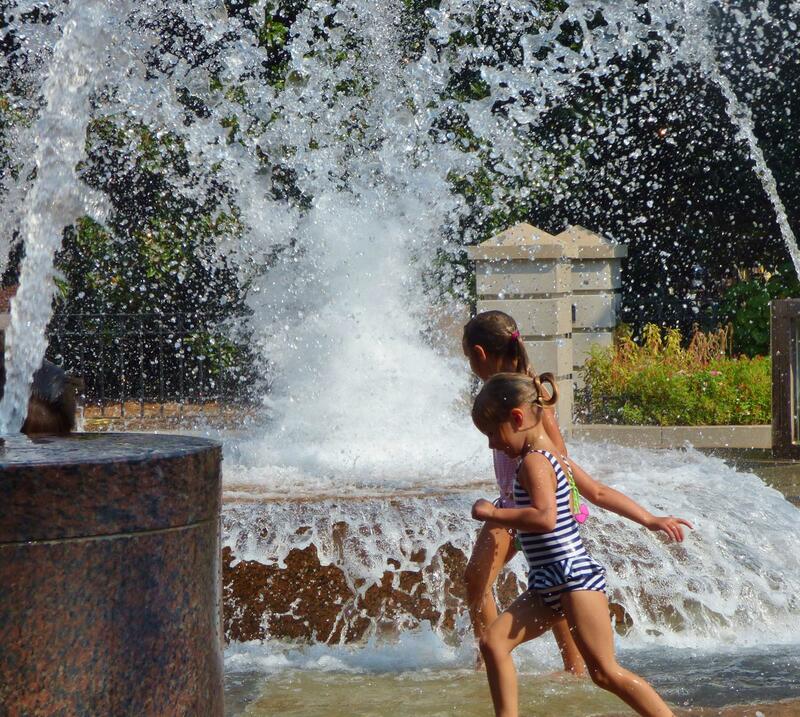 My daughter will often wear her swimsuit to frolic in the large fountain or simply wade in the Pineapple Fountain. Good clean fun at the Waterfront Park. 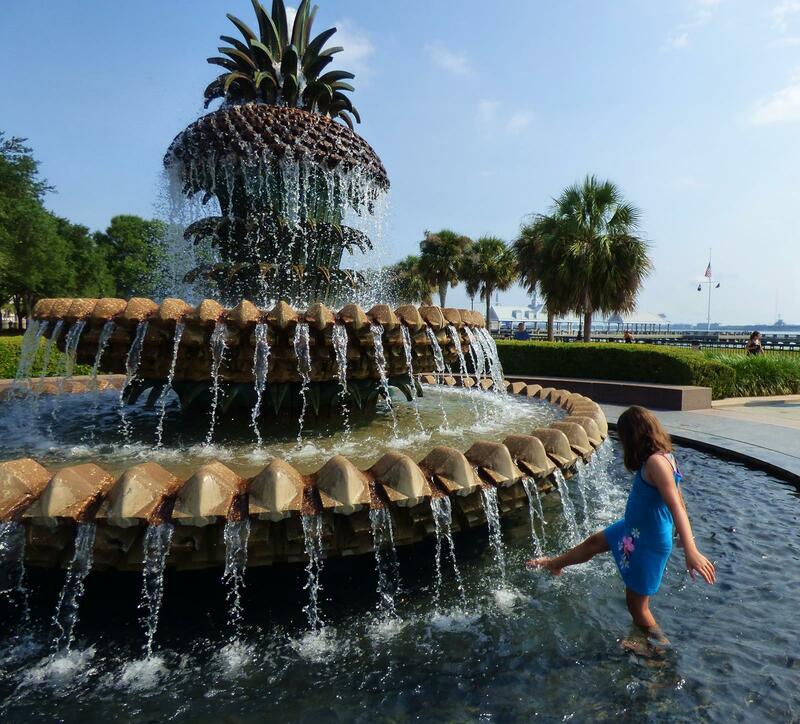 Charleston’s Pineapple fountain welcomes waders of all ages! Start your day off by picking up a coffee, a Charleston Ice , a Post and Courier, or an ice cream to complete your relaxing wrought iron bench time. 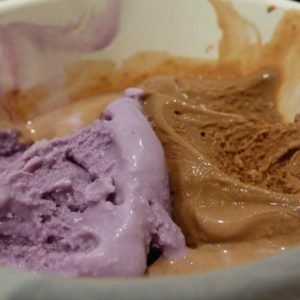 We especially enjoy the family owned Belgian Gelato – http://belgiangelato.com/index.php for an ice cream or crossiant to go at 6 Vendue Range. The Press Café – thevendue.com/restaurants/the-press/ which is inside The Vendue at 19 Vendue Range is a better sit down spot, perfect for when you need a little time indoors or an internet connection. The Press is built into the restored 1780s warehouse and offers history, free internet, air conditioning, and a great selection to drink and snack on. Adjacent to the cafe and within the public walkways of the hotel there is a hip art gallery with own printed guide. 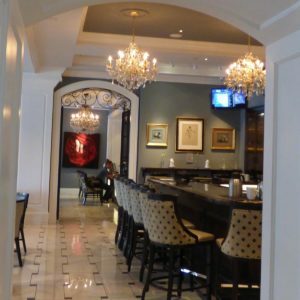 The Bar at Vendue Inn – for those whose perfect day benefits from the addition of a bloody mary. Although an independent business, they do brew Starbucks here. The hotel lobby also offers full breakfast or a you can sit up at a very pretty bar with Bloody Marys if that’s more to your liking. The Rooftop at The Vendue has been voted best rooftop bar seven years in a row. It’s not just the drinks, it’s the view. The Rooftop serves from lunch onward, so do check it out if you find yourself here later in the day. 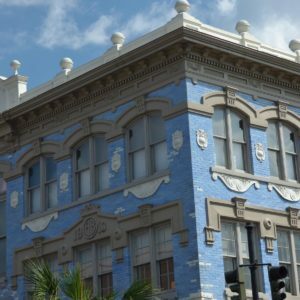 Walking along Bay Street will offer up more interesting art galleries, shops, and menus to explore. 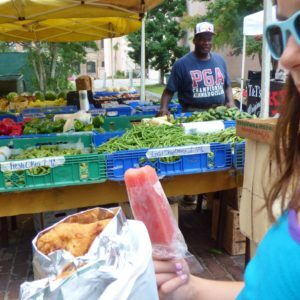 The City Market is an easy 2 block walk if that is on your must see list. 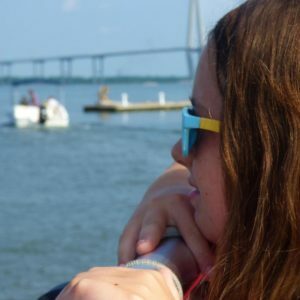 On this day, we enjoyed a leisurely walk with our iced coffee then headed back to the boat for the short ride over to the SC Aquarium. Enjoying the cool blue scenery of the two story shark tank. Our Perfect Day in Charleston must include a stop at the Touch Tank. 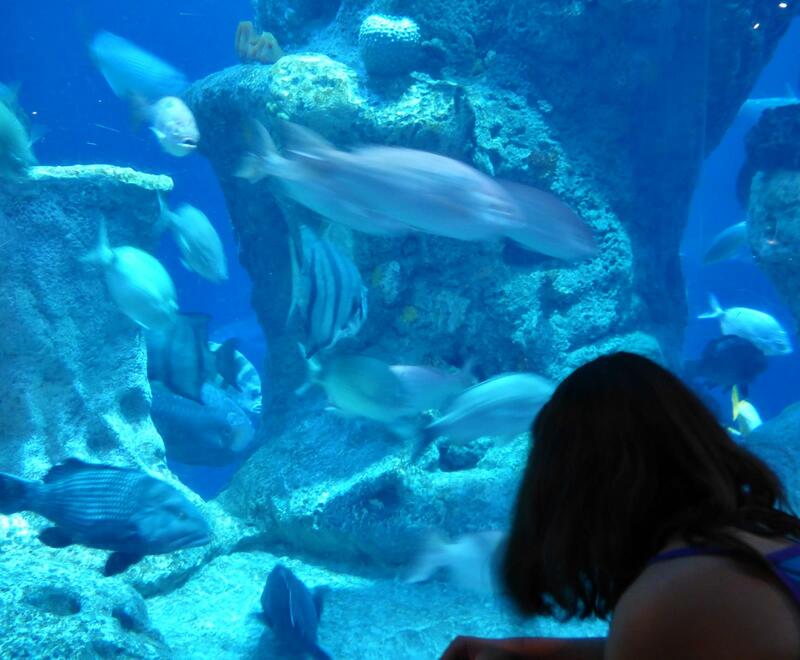 The fifteen minute ride over to the SC Aquarium was a literal breath of fresh air on our summer day, which was warming up quickly. The crew happily captured several great family shots for us with the Ravenel Bridge providing a stunning backdrop (photo Christmas card anyone?). 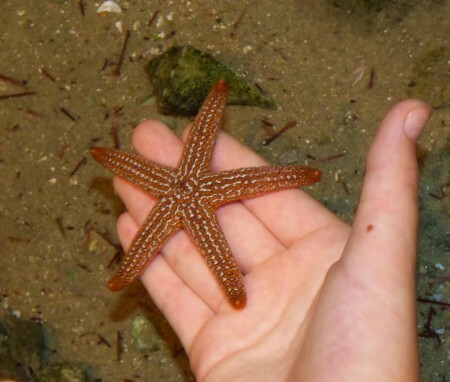 Once at the Aquarium we flashed our members card and headed in to hit our favorites. 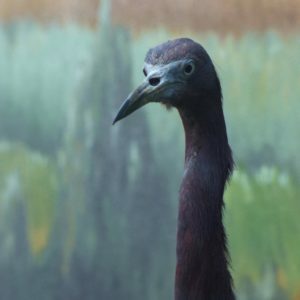 Meerkats, otters, the huge 2 story tank with sea turtle and sharks, and of course the touch tank. 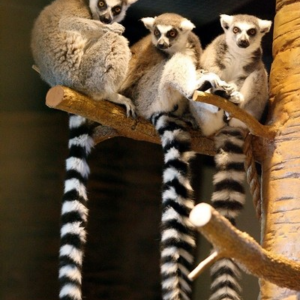 The Ring Tailed lemurs check us out. We finished with the short 4D movie about prehistoric monsters from the deep (a great way to bribe your kids into leaving the aquarium!). In under an hour, we were headed up Calhoun St. with stomachs grumbling. 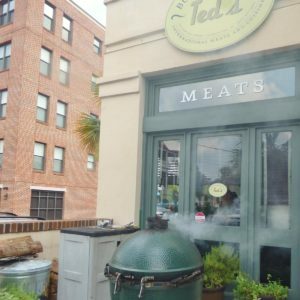 A short 2 blocks away is Ted’s Butcher Block offering up superlative lunch options and Saturday is Burger Day at Ted’s. Ted’s also offers great salads, vegetarian sandwiches, as well as a variety of tasty picnic options and wine selections. 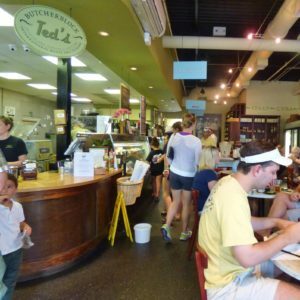 Ted’s Butcherblock offers a variety of gourmet options. 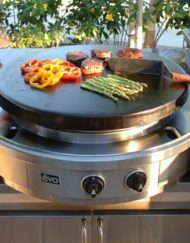 The Big Green Egg was beckoning us with smoky promises of juicy hunger deliverance. Check Ted’s menu out here at www.tedsbutcherblock.com/menus/. But today we resisted and moved on because Saturday for us demands a visit to Marion Square. Each weekend the nearby park is filled with treats, music, ponies, and food carts. 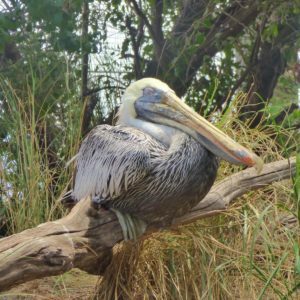 We decide to earn our treats with a 5 block walk over, but you could also take the free orange trolley from the park in front of the aquarium. The Farmer’s Market offers a fairground like feel combined with first rate fresh local vegetables, fruits, and foods. 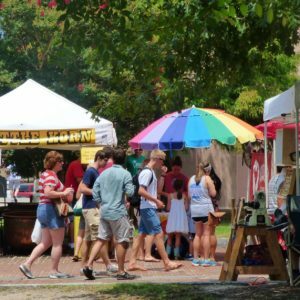 The boiled peanuts, T & T’s Kettle Corn, King of Pops cart, Banh Mi from Street Hero, and Charleston Crepes are all popular choices. Throughout the open air market you will find many talented artisans are displaying and selling their hand made creations and products as well. There is usually music stage, ample seating, and always a hip hop dance crew on the corner of King and Calhoun Street that will blow you away. 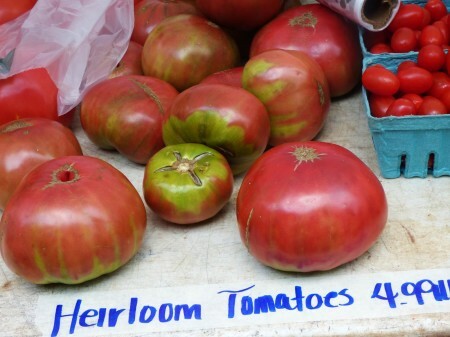 Heirloom tomatoes and local peaches perfume the air of Marion square on Saturdays and Sundays Farmers Market. “King of Pops” salted watermelon is a mandatory purchase on a Perfect Day for us. A “Fair like” atmosphere prevails over Marion Square on the weekend mornings in Charleston. We all decided on the Salted Watermelon King of Pops (not your ordinary popsicle!) and some fried chicken wings and waffles from Yard Bird. A classic southern picnic menu that still leaves a little room for sampling on Upper King St.
We are a bit tired and need a little sit down time. We headed up King St and over one Block to Vanderhorst St for a seat with a courtyard view at Kudu. Kudu is a wonderful and unique coffee bar in several ways. 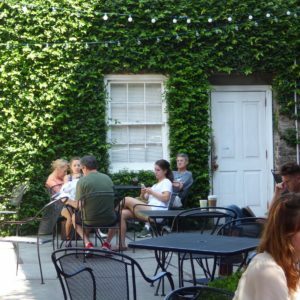 Shady Courtyard is a lovely outdoor option in Downtown Charleston. Kudu coffee bar with a lot to offer. The lovely walk down historic Vanderhorst St to Kudu. First it offers an ivy walled historic courtyard complete with shade and occasional music. 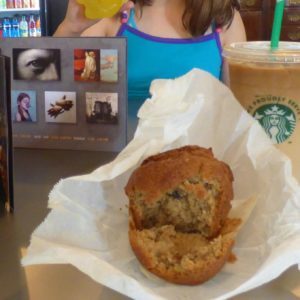 It also offers amazing lattes and real Mexican Cokes (no corn syrup here) with sweet and savory food choices. But, it also offers just what the adults were needing most – a cold craft beer. We choose a classic Coke for our little lady and a couple of cask style beers for us from one of favorite local brewers – Holy City Brewery (highly recommended). After we ordered, we took our seat, grabbed a paper and began to relax a a while after our morning adventures. 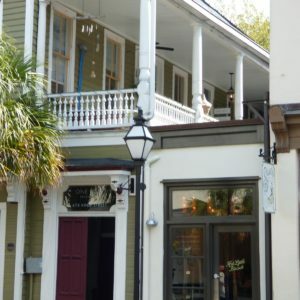 Once fortified and rested we strolled up King street to window shop and bask in the beauty that is Charleston. 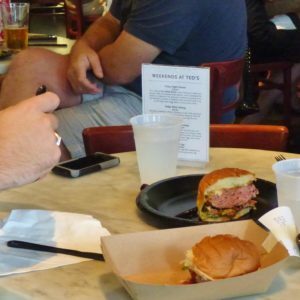 If you are find yourself wanting a different dining option outside of your old favorites, or it isn’t a weekend, there are several good choices that are located on upper King. We really enjoy Monza for family casual pizza on their back terrace. Anothe favorite is HLB from Callie’s Biscuits. It always tempts with a quick hot southern biscuit guaranteed to please. Or maybe try Jeni’s Splendid Ice Cream for an ice cream experience like no other. 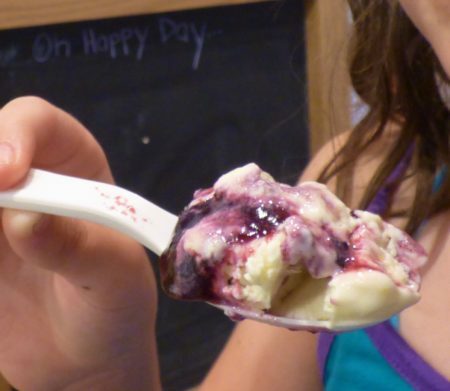 Sweet Corn and Raspberry was a family favorite. 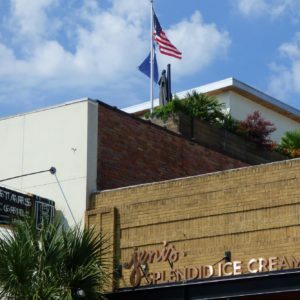 It was hot and summer, so of course we went with Jeni’s, but if an late afternoon rooftop adult beverage and relax is more your speed, by all means try Stars Rooftop Bar (open from 4pm). 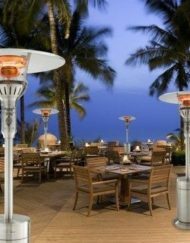 It’s a winning place to unwind after a perfect day with fruit infused vodkas, wines on tap, and a 360 degree view of steeples and the sunsets awaiting you. Today we were in family mode and were more than delighted with Jeni’s out of this world flavors and friendly atmosphere. Callie’s Hot Little Biscuit is open 8-2pm and late night on weekends. At this point we decided to enjoy a little window shopping and just taking in the scene of King St on a Saturday. 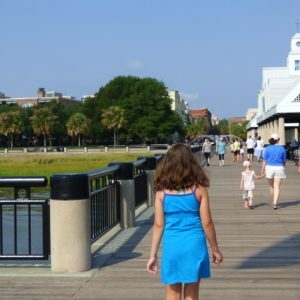 It is a short walk back to the visitor center on John Street where we decide to catch the free Trolley ride back to the Aquarium. There is a covered bench to sit in the shade while you wait for the Orange Line trolley. It arrives every 12 minutes and delivers you back to the Aquarium in about 10 minutes, no charge. Two other routes offer great options for exploring different areas of downtown. 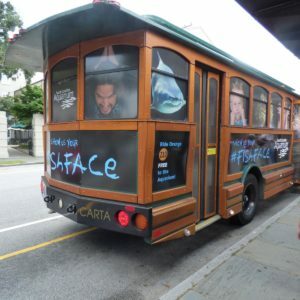 Free trolley around town is a great service for downtown visitors. 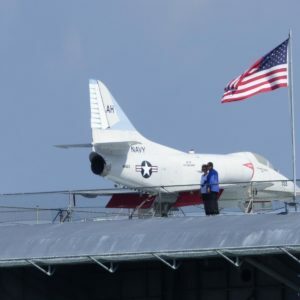 Yorktown Museum offers a hands on US Naval history experience. 430 PM Patriots Point Bound We were happy to board the last leg of our Water Taxi journey to return to Patriots Point. The breezy ride back was a welcome pleasure after a long morning of downtown walking. More dolphins were spotted and boaters exchanged friendly waves as we passed. Once at the Patriot’s Point we disembarked (you can also opt to stay on and return to our point of origin) right next to the USS YORKTOWNand neighboring CLAMAGORE (SS-343) submarine. These two vessels are truly fantastic and informative outdoor naval museums that bring history to life. We were a bit tired and hot so instead we decide to head over to the Fish House to relax and unwind. 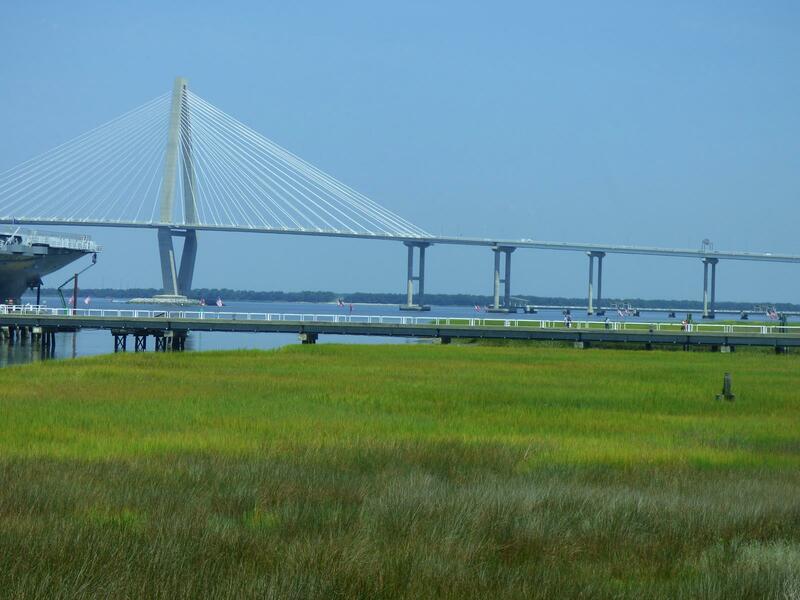 They offer what I think is the finest waterfront view to be had in the Charleston area. 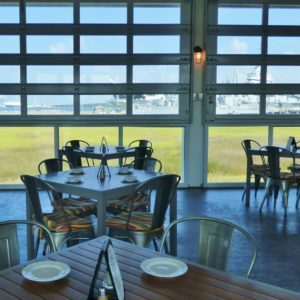 Sit on upper deck for a drink and some oysters or you can choose the dining room for full menu and floor to ceiling wrap around water views. Local seafood is the obvious specialty here, but they also have a nice kids menu, flatbread pizzas, and a happy hour. 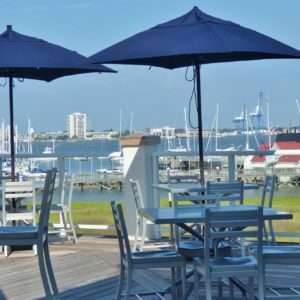 We choose to sit at one of the high tops next to the bar for a stellar Ravenel Bridge and harbor view with air-conditioning. Kevin the bartender took excellent care of us. 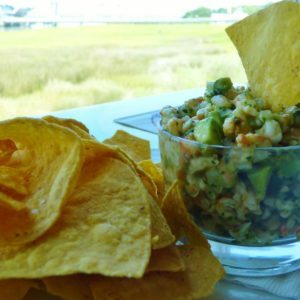 He expertly guided us towards several menu highlights like shrimp ceviche, a juicy blackened grouper sandwich, and mahi fish tacos with black eyed pea salsa. All the seafood items were locally caught, and came with house made sides of creamy mac and cheese and slow cooked collards. 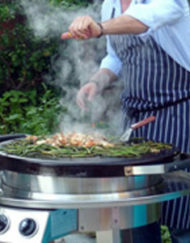 All was wonderfully prepared and enjoyed. It was a great ending for One Perfect Day in Charleston. 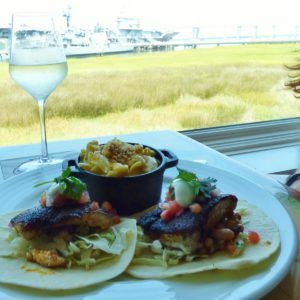 We sincerely hope you get the chance to enjoy Charleston as much as we did. Casual Upper deck is perfect spot to relax by the water. The Local Shrimp Ceviche was our favorite, amazingly fresh and sweet. 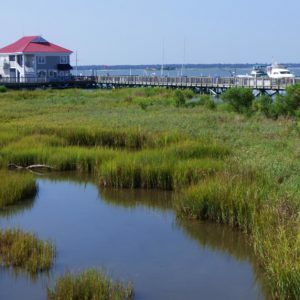 That sure does sound like a perfect day in charleston! I can’t wait to try your recommendations! what an amazing day! I can’t wait to steal this itinerary from you! 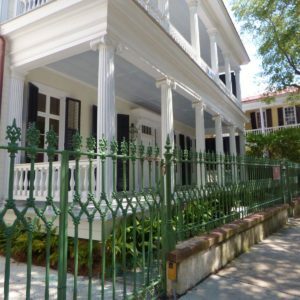 What a great highlight of some of the wonderful & unique things to do around Charleston. 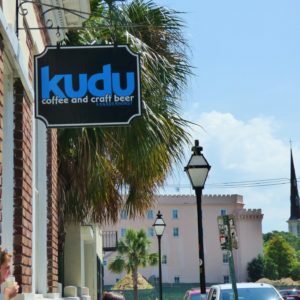 I had not heard about Press Cafe or Kudu and definitely want to check them out now. The fall weather is perfect for hanging out on the Kudu courtyard. Dogs and kids welcome there! They even have music Sunday afternoons. And on chilly or rainy days, Cafe Press is a perfect spot to relax or work online with their free internet. Hope you get to try them both! Thanks for the comments!